Blog | Your Life Psychic | A Real Psychic, Real answers, Real Solutions for your life. A Real Psychic, Real answers, Real Solutions for your life. 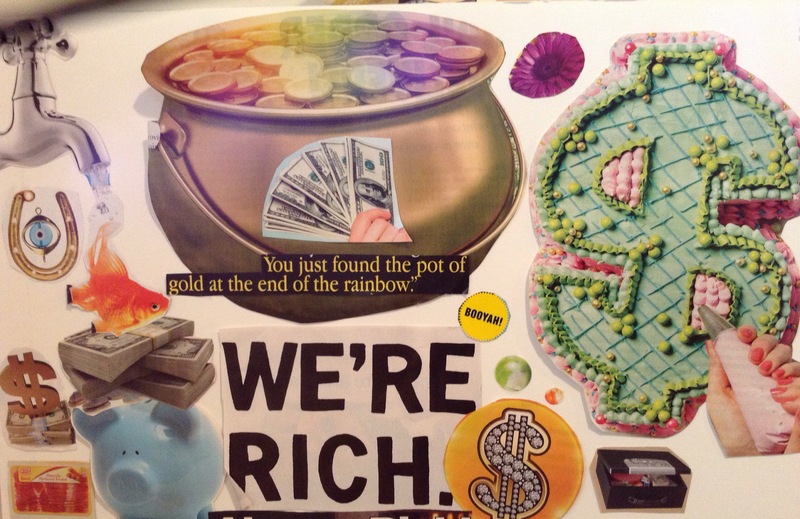 Vision Board – A Look Into The Future! I have been using a vision board for the better part of 10 years now and I have found it to be one of the most important things in my life. 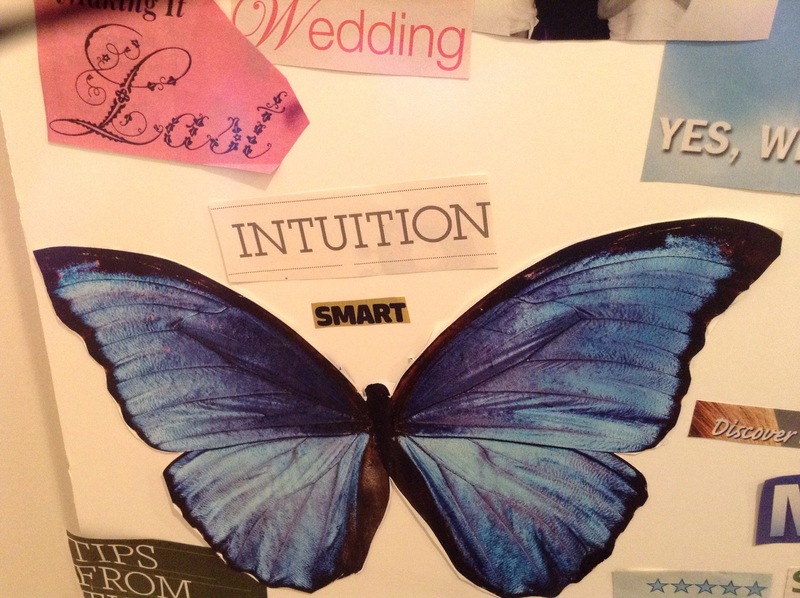 My vision board has helped me in ways that I could’ve never imagined. Goals that I never thought would happen, have magically appeared into my life with the help of my vision board. I have several of them (yes you can have more than one) as well as a manifestation box. 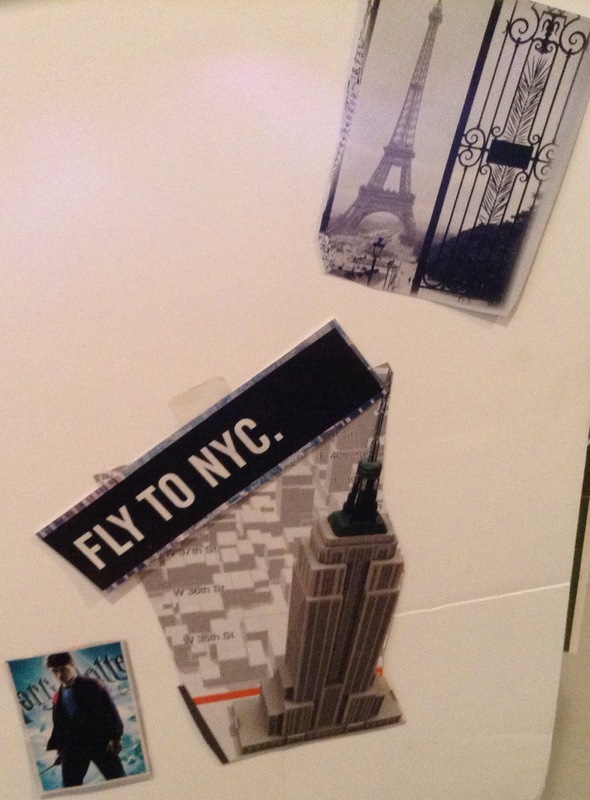 Vision board consists of a large board that you paste pictures of things that you want and also sayings of things that you want and want to be in life. When I pass by a magazine stand, I get very excited because I try to look into the magazines to see which ones will have the most pictures that I like, and that I want to post on my vision board. I have mine hanging in my back door mudroom. I hang it there so I can see it every day as I passed by. Before company comes over I just stick it in the closet or a storage space so that no one will give me strange looks or strange questions about it, but if it is someone that you trust, it surely is a conversation starter. A few years ago back I pasted a picture of an SUV that I wanted and I must admit that it took a little while, but two years later, I was able to get the same exact model of that car For a very much reduced price. It just came to me. It was as if it was meant for me. I pasted a picture of a vacation spot that I thought would never take place and one year later I was on that trip with my family having a wonderful time. It was an unbelievable experience. When one of your goals have been achieved do not take off that picture. Just replace it and paste on top of it with another picture of another goal. As I said earlier I have several Vision Board’s, you can have one for your finances for your relationships, as many different boards that you would like. I once placed a picture of Superman on my vision board, to represent power, strength, and the ability to fly with speed toward my destination and goals in life. 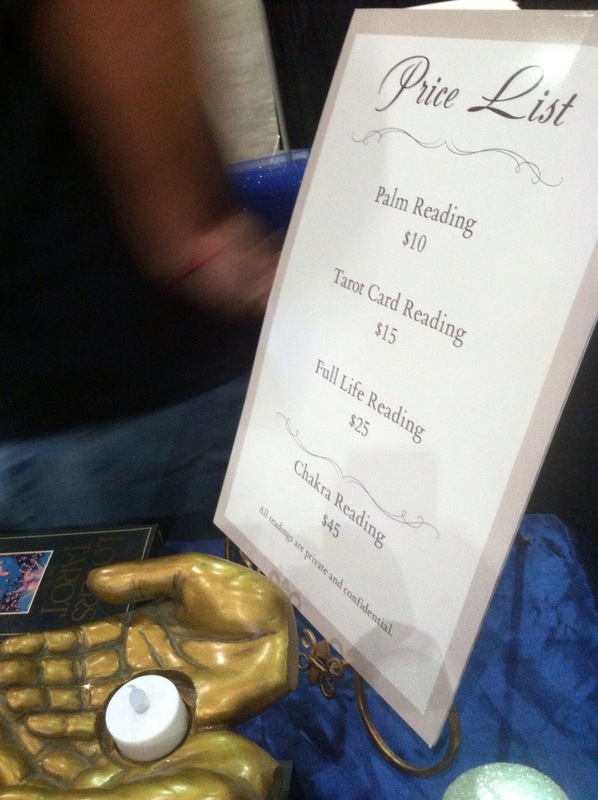 Of course psychic ability and intuition is featured. 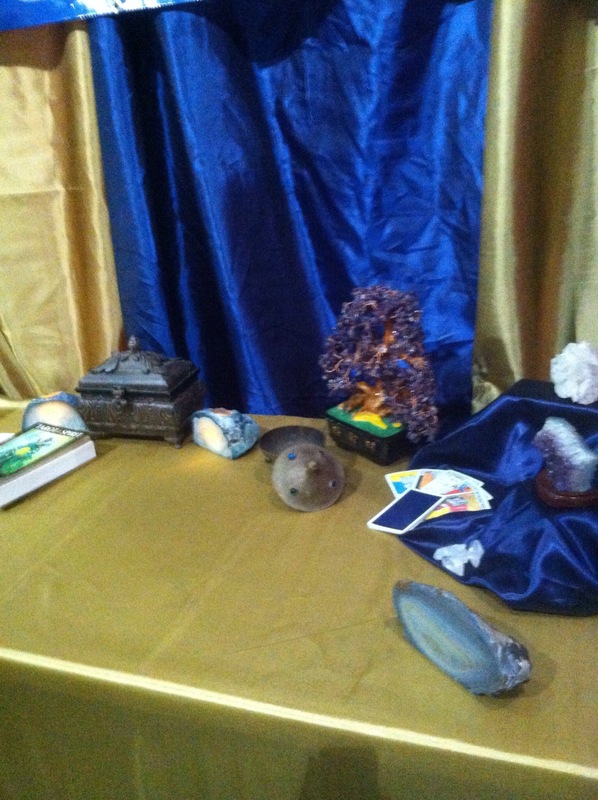 If it is more money that you desire, place pictures of money, gold, jewels, a bank, money tree, etc. 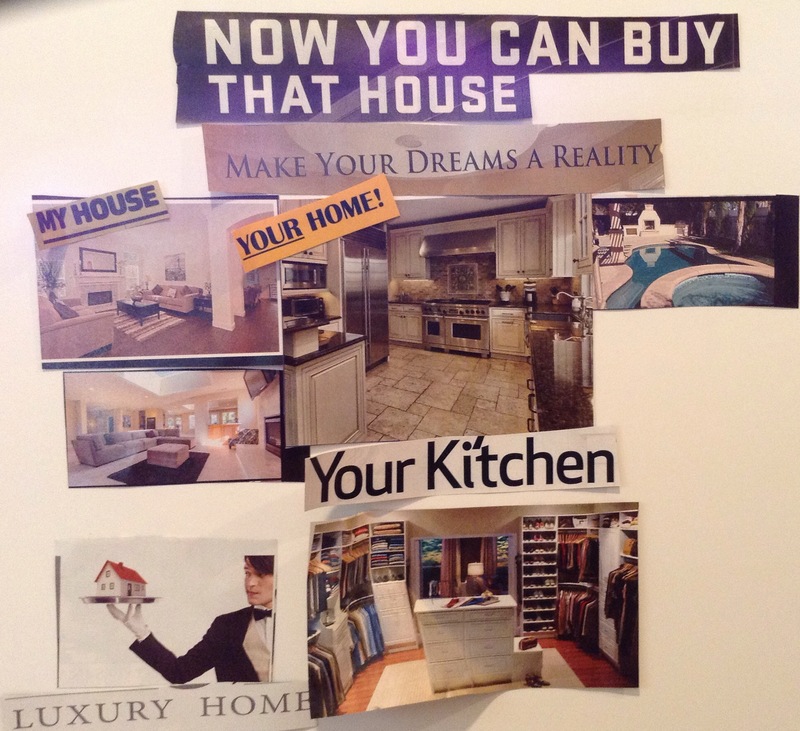 If it is a new house that you are dreaming of, place pictures and cut outs of houses, bedrooms, kitchens, furniture that you like, etc. If your goal this year is to lose weight, paste things like, healthy food, vegetables, a scale, a person exercising, certain sayings like, “new year, new me!”. Experts say that a Vision Board helps you to achieve your goals, by constantly seeing the board, and it keeps your mind focused on your goal. You can believe it that way, but I just feel that there is magic to it, because I once placed it in a closet when some friends came over, and I kind of forgot about it for several months. When I was looking through my closet, I saw it and I was amazed at how many wishes came to pass during the time it was stored away! So my feeling is that when you paste something you desire on your vision board, you are basically telling the universe what you want. You have placed your order. It’s done! And so now the universe must deliver. If it is a relationship or marriage that you desire, paste cut outs from magazines of wedding cakes, gowns, centerpieces, certain sayings like “I DO”. I saw a talk show recently, where an expert came on and said that she pasted a picture of her head on the body of a pretty bride, and the head of the man that she desired on the groom, and pasted that couple on her vision board. And within months she was in a relationship with her one time crush. I really can’t give you a specific time frame on how long it will take for things to come to pass, I guess it may vary from person to person, or how difficult your goal may be. For instance, let’s say you paste a picture of a car that you want. Well I think it could take anywhere from several months to even a year to attain, but if it is something like winning the lottery jackpot or receiving an Academy Award, when your not even in show business, might take a while. So my advice would be to paste things that you want, and it’s ok to dream really big. Just place your dreams on your board and let it go. Don’t think about it. It will come. In my next post, I will explain more about the Manifestation Box, so stay tuned and stay enlightened. The Ultimate Woman’s Fair was a Success! Well I must say it has been a busy month. October is over, and November is here. The holiday season has begun! I’ve been so busy these past few weeks, that now I am starting to wind down. There still is tonight though. I will be in deep prayer for November 1st. Which is All Saints Day. 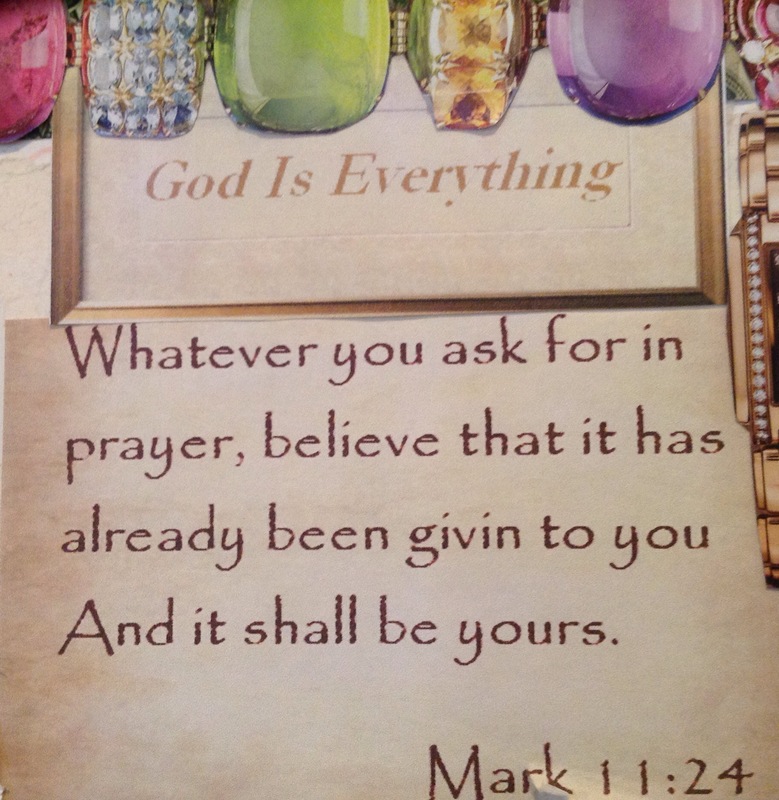 This is a very powerful day to pray for all of your hearts desires. 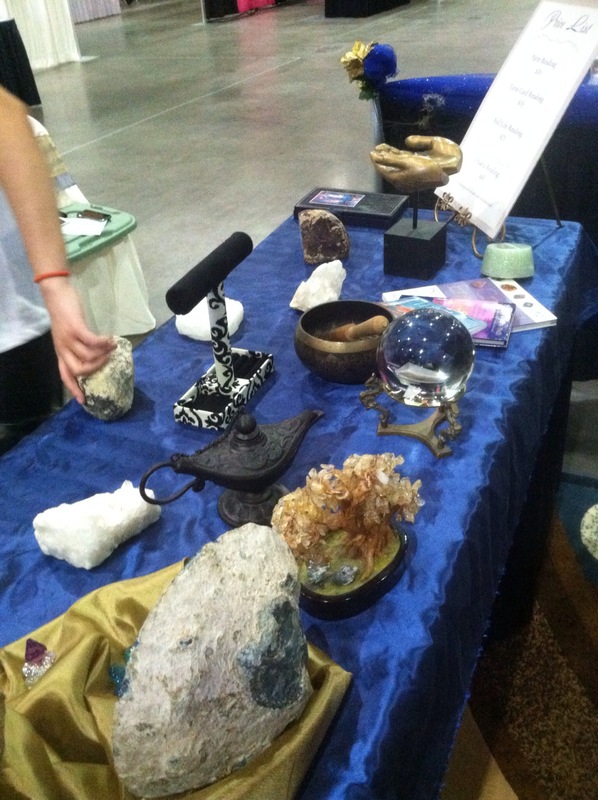 It was a busy October for me because of the Ultimate Woman’s Expo that was last weekend, and it was a hit! We had such a large turnout. I wasn’t able to take pictures of the crowd, because once it started, it was non-stop readings. 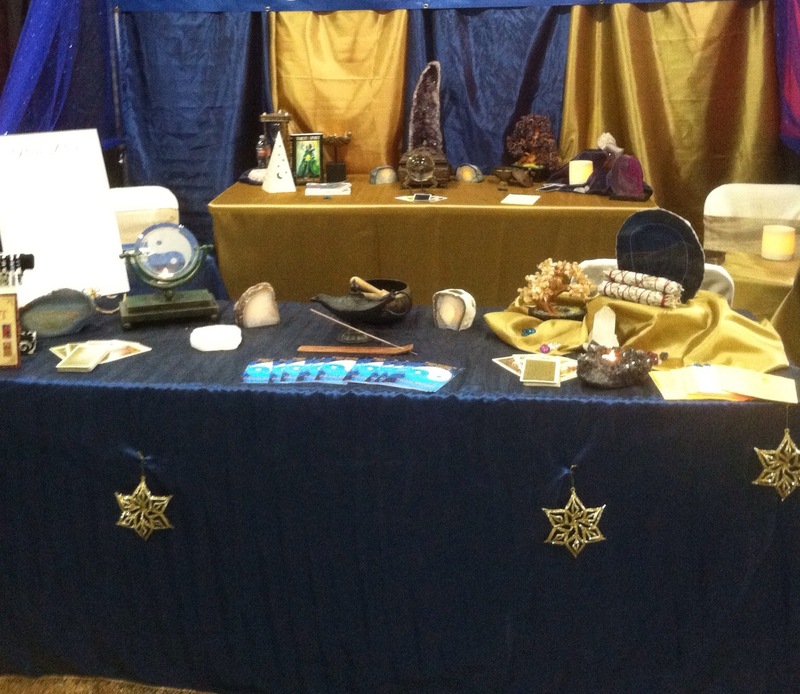 I did however take some pictures of our booth, and it turned out great. Everyone had such a great time, and the clients loved getting real answers. I will definitely be doing it again next May. I hope you had a great October and I wish for you an even better November. If you need answers and advice, call me now. For the visualizing process to be more effective, it is always important to make a list, or lists for that matter. I love making lists. Want list, gratitude list, daily goal lists and more. Generally it is called a want list, but I like to call it an “I have” or “I AM” list. I do it this way because with the Law of Attraction, it is better to say “I have” rather than “I want”. Saying merely “I want” creates the energy of wanting and being without, where as with “I have” creates the vibration that you already have this in your life, and therefor the law of attraction must provide this into your life. Your list can be unlimited, as there is an unlimited supply of everything you could ever want. Don’t think that you have to put certain wants ahead of others because you don’t want to be stingy. With the Law of Attraction, you don’t have to feel that way, because there is an unlimited abundance waiting for you. Making your list is very easy. You can make your list using a pad and pencil, notebook, diary, computer, cell phone, I pad, journal, etc. 1: I have a new car this year and I am very grateful. 2: I have lost 20 pounds of weight this year, and I am grateful for this because I feel great! At first I did not believe it either, but then I kept at it, and saw miracles happen. You can too. If you want to find out more about how to use the Law of Attraction in your life, give me a call. Through my readings and counseling sessions, I can help you use The Law of Attraction to manifest anything into your life. Call me now. (818) 578-3200 for more information.